Click here for more music posts! 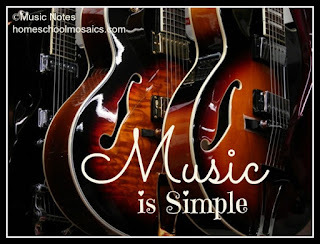 Music is simple. It is a part of the human existence since we were first made. Music starts as a mother’s heartbeat that soothes the child in the womb. It is ingrained in us from birth as it connects us together. Just as a child knows her mother’s heartbeat, friends connect over a pop song, musicians connect while playing together, and we can connect with the past when listening to music from different ages. 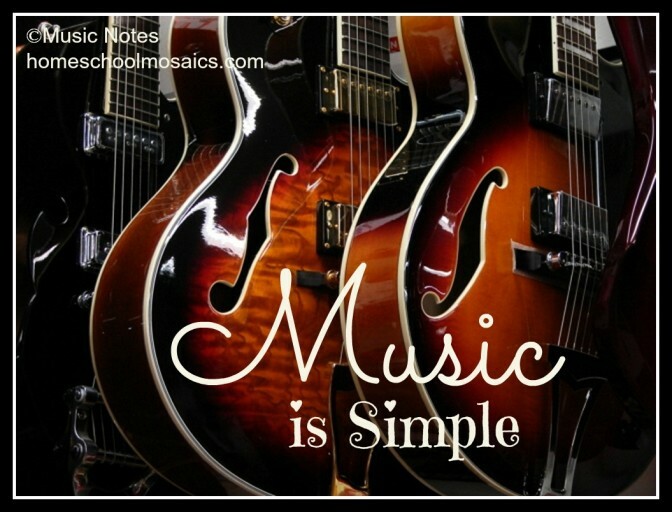 This is why music is simple. We don’t need to make it complicated when we share music with each other. My goal when writing Music Notes is to show you how simple it can be to share music with each other in meaningful ways. If you have young children, listen to fun music together. “Peter and the Wolf” is a great piece to listen to and it is so much fun to act out the story. I did a whole unit with my son this past year using Peter and the Wolf. If you have older children, share some favorite songs and listen to music together. If you want to move beyond the world of pop, start with soundtrack music from one of your child’s favorite movies. “The Lord of the Rings” music is phenomenal, and it can be fun to listen to the music and try to figure out where in the movie you hear the music. I hope that you enjoy this musical journey. 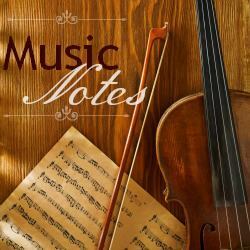 I plan on bringing you many ideas, unit studies, and easy ways to bring music into your home. It doesn’t have to be complicated and it doesn’t need to be difficult. We can do it one note at a time and build lifelong music lovers together.